Transforming David’s Bridal from a drab dress retailer to a destination fitting for life’s most memorable moments. 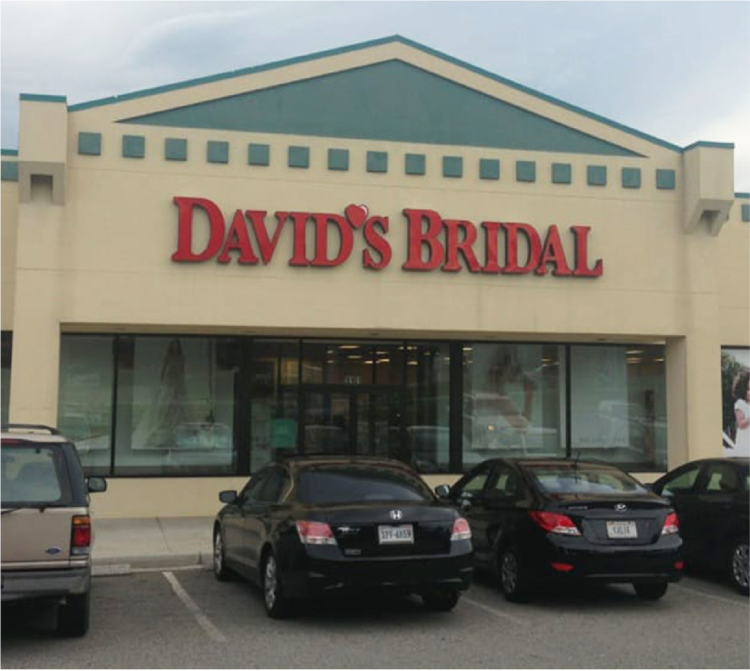 David’s Bridal’s in-store experience leaves a lot to be desired. It's lack of personalized attention and general disorder have earned the dress retailer the unfortunate moniker “The Walmart of Weddings," when brides-to-be are looking for the "Say Yes to the Dress" experience. Dresses selected at David’s Bridal live well past the day of their intended event: they live in our memories as we remember shopping for “the dress” and they exist in our homes on display for years to come as prized photographs. Realizing the special weight this dress carries, we gave David's a new role, not as a retail purveyor, but as an important early stop along a memory-making journey: David’s isn’t dressing you for a day, but styling you for memories. Saying "yes" to the dress is one of the earliest items on many wedding planning checklists. The hunt for the perfect dress often starts 10-12 months in advance and is one of the first activities that makes the wedding "feel real" for a bride-to-be. Understanding that some of a bride's earliest wedding memories would be made at David's, we identified key moments for memory-making during the dress shopping experience and reimagined them for greater impact. Bride's today are more connected than ever before and they expect to be able to recreate the fairytale wedding experiences they see on social media and shows like "Say Yes to The Dress" (even if their budget isn't quite built for it). With access to a host of resources and inspiration right at their fingertips (TheKnot, Zola, Lauren Conrad, etc. ), wedding expectations have ballooned disproportionately to what physical retailers are providing, leaving many brides-to-be frustrated and dissatisfied. The fact of the matter is weddings are a BIG deal, and as the internet continues to exert its influence upon the wedding industry, consumer demands and expectations are only going to increase. Brick-and-Mortar retailers have the opportunity to deliver elevated experiences for these new-age brides and to expand their offerings beyond what's traditional. Mom? Sister? Bestie?. Make sure they have the day blocked out in their calendars. Order Your Dress: Believe it or not, a wedding dress can take up to 7 or 8 months to receive after ordering—especially if you are doing something customized. 48% updated their relationship status to “married” on Facebook. "We walked into a mad house. Think: Walmart. Mind you, I don't shop at Walmart for this reason. People everywhere Disorganization. Cheap products. Just, no." "I felt that I had no privacy. Every time I changed gowns I stood standing in front of the whole store in these undergarments. Even if I had changed gowns inside the dressing rooms, all the mirrors were gathered in the center so EVERYONE could see you." The new David's experience is streamlined, thoughtful, and fun. A far cry from the cluttered mess it once was. So we designed solutions for everyone involved in the quest for the perfect dress: not just the bride, but every person in her entourage. So we reimagined the styling room experience to be as magical as possible and placed women in their real-life wedding setting. So we introduced moments of personalization and follow-up to invoke the dedicated personal attention one might receive at a more premium bridal boutique. 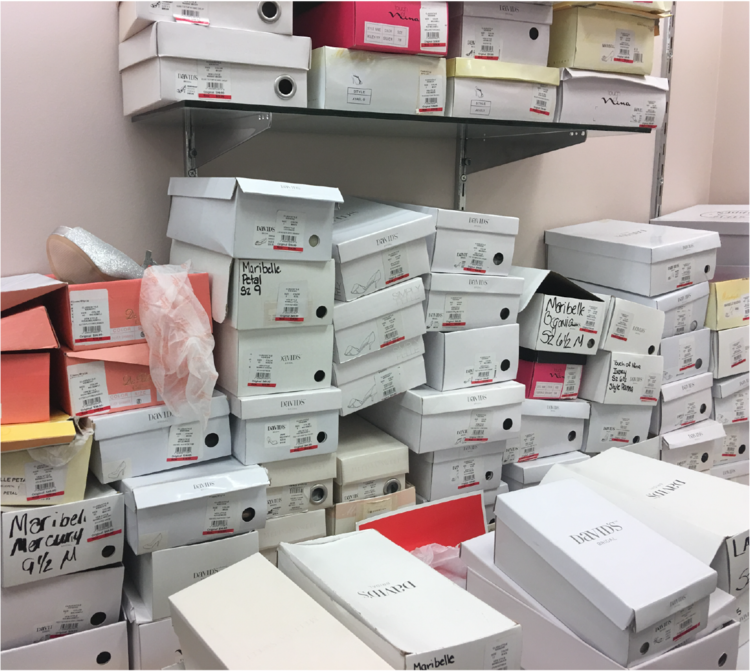 We decluttered the floor by moving excess inventory out of view and introduced a more upscale look and feel with deep colors, rich fabrics, and bold patterns inspired by the Hollywood Regency era and designers like Dorothy Draper. After auditing the existing online journey, we realized we could use David’s robust appointment scheduling application to prepare a more personalized experience for the client upon arrival. Small adjustments like adding a personalized parking space or having a bride's name adorn her Styling Room go a long way toward making each woman feel anticipated, waited upon, and celebrated. Privacy: We added partitions to create a more intimate styling experience rather than force women to be on display, half-dressed in the middle of the showroom floor. Entourage: We increased seating options and created modular rooms to accommodate parties of any size and recognized their honorary roles with personalized seats titles. Technology: We outfitted styling rooms with projection technology and different lighting settings to allow brides to envision their dresses in true-to-life custom settings. Trying on gowns is time-consuming. Certain gowns require several minutes to get in and out of and fully fastened. This creates a lot of downtime for a bride's loved ones in between reveals. During this downtime we thought a more meaningful experience would be to invite members of a woman's bridal party to record short video messages of well-wishes or advice that would be compiled into a keepsake video memory memento. And to ensure David's plays a role in the entire wedding journey, we'd keep this video a secret from the bride until closer to the woman's wedding date when the video would be sent via e-mail along with a final note of good luck from David's. In addition to designing a more premium experience for women shopping for their most special occasions, we considered an additional revenue stream for David's: a bookable photo-room complete with various backdrops, props, and lighting settings that women (and men) could rent for group photos. Groups of women (like prom girls) could schedule 20 minute sessions to make use of the photo room before major events. Much like the wildly popular Ice Cream Museum and Color Factory, this room also works perfectly as a fun play-date or date-night activity and provides tangible memory mementos for all to share. Conducted 1:1 interviews, audited David's current digital and in-store experience, read hundreds of reviews on Yelp and bridal forums to uncover pain points, brought key insights to the team, structured the presentation to begin with a story, worked closely with creatives to provide strategically informed design considerations and helped push executions further. Stayed involved in the project from start to finish.